The USS Orizaba leaving port to carry troops to France in 1918. During World War I, she carried over 15,000 soldiers to France. After the war ended she carried another 30,000 back home until she was decommissioned on September 4, 1919. Crozier Williams (1895?-1948) and many other members of his unit boarded the Orizaba on June 25, 1919 in Brest, Frace, ready to come home. Digital reproduction of original black and white still photograph: NH44914, U.S. Naval History and Heritage Command, Washington, D.C. Naval History and Heritage Command. 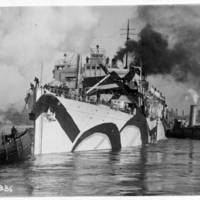 "NH44914 USS Orizaba." Accessed August 24, 2018. https://www.history.navy.mil/content/history/nhhc/our-collections/photography/numerical-list-of-images/nhhc-series/nh-series/NH-44000/NH-44914.html. Naval History and Heritage Command. "Orizaba (SP-1536)." Accessed August 24, 2018. https://www.history.navy.mil/research/histories/ship-histories/danfs/o/orizaba-sp-1536.html. <a href="https://www.navy.mil/" target="_blank">United States Navy</a>. 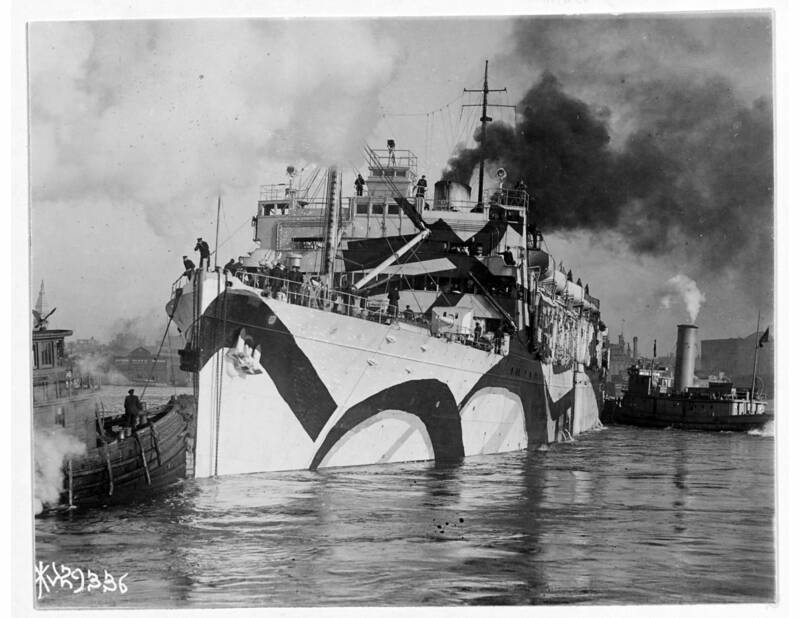 “Navy Ship, 1918.” RICHES of Central Florida accessed April 19, 2019, https://richesmi.cah.ucf.edu/omeka/items/show/10364.